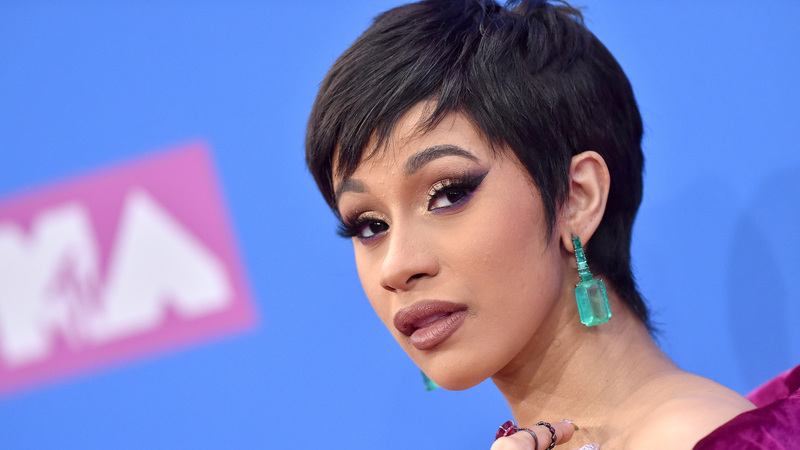 Cardi B pulled a fast one on the full house at last night's 2018 VMAs by kicking off the show while snuggling what was obviously her cuddly, pink-blanketed baby — but then revealing the Moon Man Award inside, not her daughter, Kulture. Well, we'll see baby Kulture one of these days. We hope. But said fake baby wasn't the only kiddo gracing the 2018 VMAs with its presence: One of the cutest kids on hand at the award show was the son of Speidi. Yes, Hills fans: Heidi Montag and Spencer Pratt doted on a very adorable Gunner Stone on the red carpet, unexpectedly melting the hearts of everyone who saw the dapper little dude. Nicky Hilton couldn't wait to post pics of him on Instagram. Ten months old, and he's already upstaging his reality TV-famous parents, the stud. Montag also posted a shot of the family before the show, which she captioned, "Gunner's first trip to NY #familyvacation." DJ Khaled and wife Nicole Tuck also rocked the red carpet outside Radio City Music Hall with baby Asahd — who seems to go almost everywhere with his famous papa. Also on hand? Jennifer Lopez, on fire as usual and supported by beau Alex Rodriguez and her twins, Max and Emme, 10. Who knew the VMAs could be such a family picnic? Lopez even gave a moving shoutout to her "sweet angels." "I had to forge my own path, make my own rules. I was always like that. But it wasn't until I had two little angels come into my life that everything changed," Lopez said during her Video Vanguard Award acceptance speech. "I knew I had to be better. I knew I had to go higher and be stronger than I had before… So thank you, Max and Emme. There is so much more to do, and I know in my heart the future is brighter now because of you." Hopefully, there were Kleenex boxes stashed under the seats. We've got all the feels.